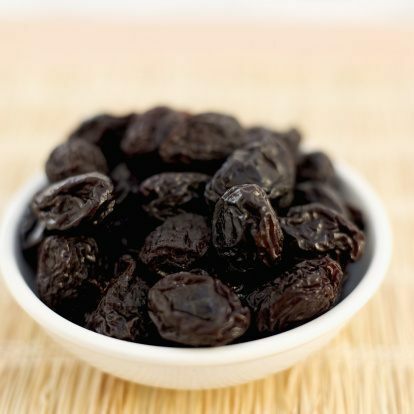 Doula Prescription: Prunes and Dates ⋆ all birth. My clients will tell you that without a doubt, I am a nag. Very little time passes before I am reminding my moms to hydrate, eat their prunes and later, dates. Of course I have countless other things I do nag about but just for the record, every one of my moms is eating 4 prunes a day and drinking water with lemon. Iron: In pregnancy, iron intake is essential. This needs to be increased in pregnancy due to the growing needs of your baby. Because your body produces more blood to provide for this growing baby, your need for iron and other nutrients increase. Eating prunes provides lots of iron and minerals to combat any chance of developing anemia in pregnancy. Blood Pressure: Prunes contain potassium. And, potassium helps with the maintenance of healthy blood pressure. Healthy-range blood pressure in pregnancy is so important for the health of the mom, the impacts on baby and the birth trajectory. This is, by far, the greatest benefit, as I see it! Another point for prunes. Digestion: Prevents constipation and aids in digestion. As a pregnant person, you are undoubtedly familiar with the slowing digestion happening in your body as your baby is growing. All of that progesterone running around in your body can slow down and relax the digestion. Eating prunes can help you stay regular. Also, it can aide in digestion when your body is getting ready for labour and needs to empty itself of anything impeding upon the labour. Yep, it will help you clear those bowels before baby enters earthside. Added benefits: Yes, even better, it has been shown that the Vitamin A and beta-Carotene found in prunes can help your baby’s eye development. It’s true. Beta-Carotene is an antioxidant and is beneficial for reducing swelling and pain in the pregnant mom throughout pregnancy in the joints and a reduction in edema. Now, with all those benefits, who can deny the need for these during pregnancy. My client prescription for dates has more to do with the important benefits in labour due to the consumption of dates. It is striking and there is no denying the powerful impact these guys (or gals) have on the pre-labouring woman! 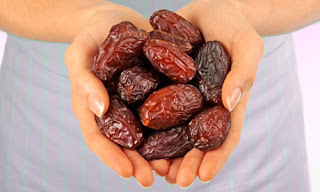 Studies have shown that eating dates has a direct impact on dilation, intact membranes, reduced incidences of induction, and significant need for augmentation of labour. “It is concluded that the consumption of date fruit in the last 4 weeks before labour significantly reduced the need for induction and augmentation of labour, and produced a more favourable, but non-significant, delivery outcome” (http://www.ncbi.nlm.nih.gov/pubmed/21280989). “In a number of Qur’anic verses, the humble date is honored as one of the blessings of Paradise. This tiny fruit has more potassium than even a banana does!” (benefits and customs of dates). …..blessing of Paradise? Sign me up. So, listen up moms-to-be. Move gradually into eating these super foods. If you’ve not ever had prunes before, you might want to start with just one or two a day. Let you body adjust and move to four daily. Listen to your body. Talk to your care provider because it’s always best to do that, and if your body is tolerating it, do it. It will have impacts and benefits that are nothing short of magic.